Below is a sermon manuscript from John 15:1-8 which I preached about 10 years ago. Many years ago at the Tournament of Roses parade the Standard Oil Company, now known as Chevron, had a beautiful float. In the middle of the parade the oil companies float came to a grinding halt and the rest of the parade with it. It had run out of gas. The directors of the Chevron float had done everything well but they neglected to avail themselves of their companies vast resources of oil. The parade waited while someone ran to get a gallon of gas. Too often, I see this happen among us. Christians and churches breakdown right in the middle of the parade. And, while I know it’s impossible for the entire Kingdom of God to be held up while some deacon goes to fetch a gallon of gospel, I fear sometimes its possible and I wonder what God must think when we neglect the source of our strength and power. When we fail to abide in Christ we render ourselves ineffective. This is the truth we learn from John 15:1-8. The key to effective Christian living, and powerful, fruit-producing lives is not how much of the Bible you know, or how long you pray, or what church you go to. The key to being used greatly by God is abiding in Christ. This theme is one of the apostle John’s favorites. His book of 1 John is written entirely around the importance of abiding in Christ. And his gospel is the only one which goes into great detail about what Jesus told His disciples during the last supper in the upper room. John 13-17 is called the Upper Room Discourse and is the most intimate and loving sermon of Christ in the Bible. Jesus knew his time was short, and so He gathered His disciples together and gave them his final teachings. In a sense, it was their graduation ceremony from Christ’s seminary, and Christ was the keynote speaker. This was the commencement address. He summarized everything he had taught them, told them what they must not forget, and reminded them of the essential truths they must remember. He warned them of the trials that were coming, but encouraged them to stay strong in the faith. If you want to understand the heart of Jesus, the place to start would be the Upper Room Discourse. However, in the middle of this passage, there is a section where Jesus illustrates what he has been teaching. As He so often does, he uses a common, everyday picture to vividly portray the lesson He has taught. 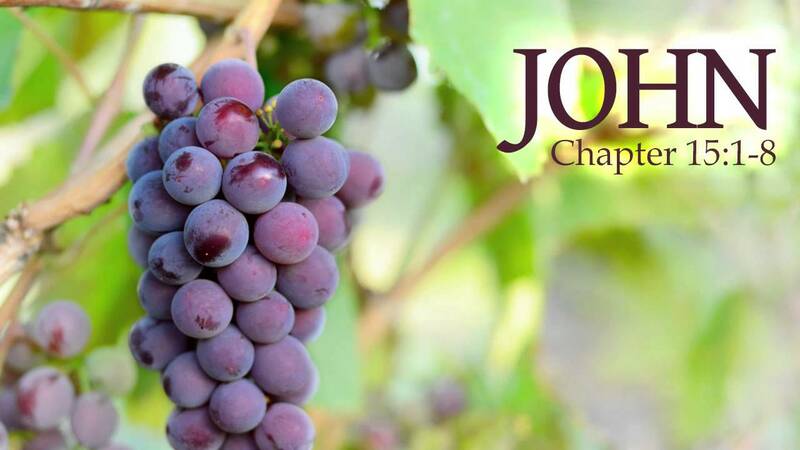 In John 15, He gives us the picture of the vine and the vinedresser. The reason we are turning here in our study of eternal security is because what Jesus teaches here has been the source of great confusion and misunderstanding. He says in verses 2 and 6 that if a branch does not bear fruit, it is cut off, taken away and burned in the fire. When most people read this, they think Jesus is saying that if we do not have adequate works, then this proves we are not a Christian, or have lost our salvation. …There are people who…appear by all human perception to be united with Christ, but they are apostates doomed to hell. They may attend church, know all the right answers, and go through religious motions; but God will remove them, and they will be burned. Now, I don’t actually disagree with what this author is saying. I do agree that those are attached to the Vine are always secure. I also believe that there are thousands, if not millions of people who think they are Christians, but are not. They may attend church, and read the Bible, and go through the religious motions, but they have never believed in Jesus for eternal life, and so are not saved. Where I disagree with this author is that this passage in John 15:1-8 teaches this. I think it teaches exactly the opposite. To understand what Jesus is truly saying, we must understand viticulture, that is, the methods and practice of tending grapevines. We will learn this as we work our way through the text. In context, only genuine believers are left in the upper room. Judas, the one who betrays Jesus, has already left the room. So only Jesus has been telling the eleven apostles, all of whom are genuine believers. We are introduced to the picture in John 15:1. John 15:1. I am the true vine, and My Father is the vinedresser. Jesus explains the imagery right from the start. He is the vine, and God the Father is the vinedresser. 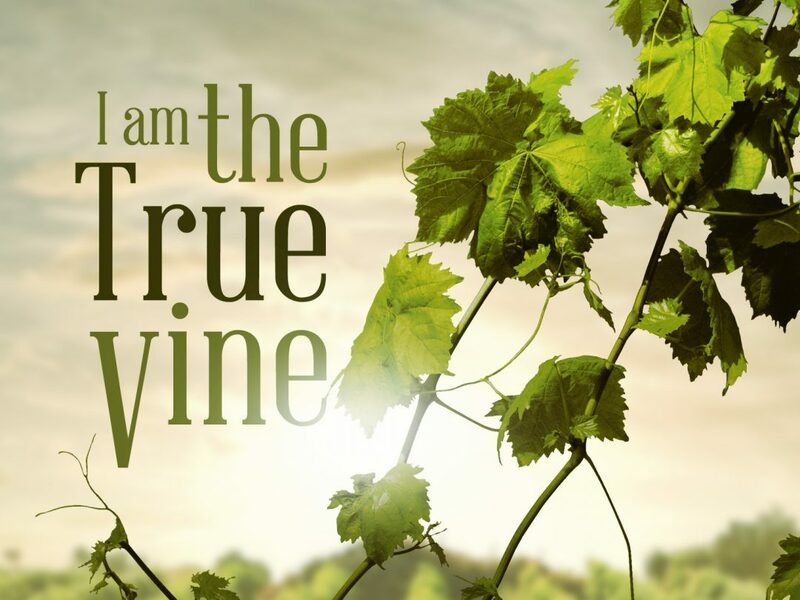 When Jesus says He is the true vine he is contrasting Himself from the vine of Israel. In the Old Testament, Israel is often represented as a grapevine (Ps 80:8; Isa 5:1-7; Jer 2:21). However, they were not the kind of vine God wanted. But where the nation of Israel failed, Jesus has become the true vine. He embodies everything they were supposed to be. God the Father is shown to be the loving vinedresser. A vinedresser is more than just a farmer. He knows all about grapes, how they grow, what they need, and when they need it. A vinedresser’s grapevines remain with him for decades. He comes to know each and every vine intimately, for they are all unique and different. He knows how each vine fares from year to year. Which ones are more productive than others. He knows how each vine responds to the various forms of caring for the vines, and how best to care for each vines needs. It is amazing to think about, but viticulturist say that every vine seems to have it’s own personality. Of course, in this picture, there is only one vine – Jesus – which has branches coming off from him, so God as the vinedresser only has one vine to tend. The main part of tending the vine, however, is taking care of the branches. It is the branches Jesus talks about in John 15:2. John 15:2. Every branch in Me that does not bear fruit He takes away; and every branch that bears fruit He prunes, that it may bear more fruit. In John 15:2 Jesus continues the picture with two kinds of branches. Branches that do not bear fruit, and branches that do bear fruit. There are also associated actions with each branch. Branches that do not bear fruit He takes away, and branches that do bear fruit he prunes, that it may bear more fruit. Notice first of all that both branches are clearly Christians. Both branches are said to be in Me, in Christ. Never does the Bible refer to an unbeliever or a non-Christian as being in Christ. But if both branches are Christians, then what does it mean for God to take the unfruitful branches away and prune the fruitful branches? Let’s look at each and see. First, the unfruitful branches which are taken away. The Greek word for takes away is aerei, and can be translated as either “lifts up” or “takes away.” The NIV has cuts off which is not at all a good translation. The Greek word means “lifts up” or “takes away” but never “cuts off.” So how are we to know which translation to use? We go to vinedressers and ask them what they do with unfruitful branches. And what is it they do? Grapevines, if left unattended, will grow along the ground, and if left lying on the ground, will send little roots down into the soil rather than produce any fruit. They may produce a few tiny clusters of bitter grapes this way, but since they are trying to draw nutrients from the soil where their own roots cannot get deep enough, they will not produce grapes. So when a vinedresser comes along, and sees branches lying on the ground, he knows that what they need is not to draw their own nutrients from the soil, but to get their nutrients from the vine, because the vine’s root system goes deep. And so, what does he do? He lifts the branch up off the ground and supports it in the air with a trellis or lattice work. This way, the branch has no choice but to draw all of it’s sustenance from the vine, and as a result, will produce many sweet clusters of grapes. 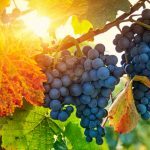 Dr. Earl Radmacher was traveling through Israel several years back, and he says that when you travel south from Jerusalem past Bethlehem to Hebron, you will see mile after mile of grapevines bending down to the ground. During the dry and nonproductive season, they vinedressers allow the branches to grow along the ground – but not produce fruit. This way, the branches can still grow, but they don’t waste energy producing fruit. There isn’t enough moisture or heat to produce fruit. But when the time comes for fruit, the vinedressers begin to lift the branches up off the ground. The process of lifting them to be properly positioned for fruitbearing takes a week or two because to lift them too fast too soon could cause the branch to break. But the vinedresser is gentle and goes slow so that the branch is kept whole and secure. What does it mean to aerie an unfruitful branch? Far from taking it away or cutting it off, this word depicts the tender and loving care of the Father on us, His children, when He wants us to produce more fruit. This is not a picture of judgment on the unproductive branch, but completely the opposite. It shows how much God loves us and tenderly takes care of us so that he can turn us into productive branches. No vinedresser in the world immediately cuts off an unproductive branch without giving it the chance to produce fruit. If a vinedresser always cut off unproductive branches, the vinedresser would never get any fruit, for all branches are unproductive from time to time. Similarly, God the vinedresser, rather than cut you off when you don’t produce fruit, lifts you up where you can bask in the sun, and get nutrients from the vine. So that is what God does with the unproductive branches. He lifts them up so that they will produce fruit. To see this idea as removal from the vine contradicts the actual practice of vinedressers. But when we understand it as the lifting up of the vine, it makes perfect sense and becomes a great encouragement. God always preserves and nurtures the unfruitful branches so that they will produce fruit in the next season. But what does he do with them once they do produce fruit or with those that already are producing fruit? Jesus says in verse 2 that these branches are pruned. The Greek word here is a play on words with the first Greek word we looked at. The first Greek word was aerei. The one used here is kathaerei. Jesus uses this word several times in context (John 13:10-11; 15:3). This is a verb, but the adjective form of it is used right in John 15:3. You say, “I don’t see the word prune there.” That because the translators of our English bibles translated this word one way in John 15:2, and a different way in John 15:3. But I am of the conviction that Jesus is going to use it the same way in verse 2 as he does in John 15:3, and so we should translate it the same way. John 15:3 should remind you of when Jesus was washing the disciples’ feet back in John 13. He tells the disciples there that they are already clean, so they only need to have their feet washed. The word there again is the same word used here. So how should katharei be translated? The most straightforward way to translate it would be to say that those branches who do bear fruit, Jesus cleans. He cleanses them. And this is exactly what we see vinedressers doing. Kathairei was the legitimate term describing the process of removing suckers from a fruit bearing branch. Merrill Tenney gives his observation about the work of a vinedresser and the cleaning process in his commentary on John. In cleaning a branch, two principles are generally observed: first, all dead wood must be ruthlessly removed; and second, the live wood must be cut back drastically. Dead wood harbors insects and disease and may cause the vine to rot, to say nothing of being unproductive and unsightly. Live wood must be trimmed back in order to prevent such heavy growth that the life of the vine goes into the wood rather than into fruit. The vineyards in the early spring look like a collection of barren, bleeding stumps; but in the fall they are filled with luxuriant purple grapes. Non-fruiting branches were not cleaned up in this way. They were allowed to grow as much as they wanted in any directing they wanted. They were not hindered in any way. The goal was to get them to grow as fast as possible in every direction so that they would be a large branch next year and therefore able to produce fruit. But when a branch was producing fruit, the vinedresser wanted all of the nutrients and energy the branch drew from the vine to go directly to the fruit. He didn’t want the branch to waste energy growing leaves – let the non fruit-bearing branches do that. He didn’t want the branch to grow in length – it was already long enough. From the fruit-bearing branch, the only thing the vinedresser wanted was fruit. This is why new Christians often seem to have spiritual and theological interests which go every which way, but as they mature, they tend to specialize in one or two areas. New Christians want to try everything and be everywhere. They often don’t bear much fruit, but this is because God has lifted them up and is allowing them to grow in length and strength so that later they can produce fruit. But after they find something they really enjoy and are really good at, God will sometimes cleanse them from all other distractions and have them focus only one what they are good at. This is why it is never a good idea to be a “jack of all trades” Christian. No Christian is going to be good at counseling and visitation and preaching and teaching and administration and serving the needy and working with youth and working with the elderly and evangelizing the lost and doing community outreach and being a prayer warrior and on and on. Rather, as we mature, we need to find the one or two things we enjoy the most and we are good at, and then focus almost all of our time and energy on those things. That is how, as a branch, you will produce the most fruit. And that is what God, as the vinedresser, wants you to do. He would rather have a few clusters of large, juicy grapes than lots of clusters of small, bitter grapes. That is why he lifts up unproductive branches, and cleans those that are producing fruit. John 15:3. You are already clean because of the word which I have spoken to you. As Jesus talks to them about fruitful branches and unfruitful branches, they were maybe wondering which of the two they were. And he clearly tells them in John 15:3 that they are the fruitful branches and that they have already been cleaned. Only fruit bearing branches are cleaned remember, and so since the apostles have been cleaned, that means they are fruit bearing. And since they have been cleaned, that means they are about to produce great quantities of fruit. And we know from Acts that this exactly what happens. But Jesus was speaking to the eleven disciples. You may not know if you are a fruitful branch or unfruitful. There are hints of course. If you are trying to find a ministry, and trying to become effective in the service of the Lord, if you seem to be going every which way in your Christian life, this is probably an indication that God is lifting you up. But if you have found something you enjoy and are good at and people tell you they are edified and encouraged through your ministry, then this might be an indication that you are fruit bearing and God has cleaned you or is in the process of it. But whatever branch you think you might be, notice that John 15:3 is very clear how the cleansing process takes place. Jesus tells the apostles that they are clean because of the word he has spoken to them. You will never be cleaned, you will never become extra fruitful unless you are in the Word, studying the Word, praying over the Word, meditating upon the Word, and applying the Word. Ephesians 5 tells us that God cleanses us with the washing of water of the Word. Romans 12 says that the way we renew or cleanse our minds is with the Word of God. Do you want to be fruitful, you’ve got to get into the Word. 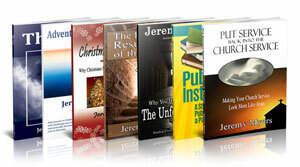 There are lots of people who say that the key to the Christian life is being filled with the Spirit. I would never disagree with this. What is would disagree with is how many Christians define being filled with the Spirit, and how to be filled, and what it looks like. Let me tell you what the Bible says. When Ephesians 5:18-20 is compared with the exactly parallel passage in Colossians 3:16, it becomes clear that being filled with the Spirit is exactly the same thing as letting Christ’s Words dwell in you richly. Do you want to know how to be Spirit filled? Be Bible filled. The Holy Spirit uses God’s word to influence us by affecting our will. The Spirit uses the Scriptures that He inspired to influence us. How does He do this? In the same way wine affects the person who is filled with it. That is what Paul says in Ephesians 5:18. So think about wine. Wine does not take over the person in such a way as to turn him into a robot. Rather, it affects a person in the area of attitudes and judgments. The person under the influence of alcohol may not even realize that he or she is making different kinds of decisions until someone tells them about it afterwards. You see, they don’t know, but everybody else knows. Wine is indwelling that person in the sense that it is actively altering the mind so that the person makes free choices with their will which is not normally what they would do. It is the exact same with the Spirit. When you allow the Word of Christ to dwell in you richly, the Holy Spirit uses the Scripture to influence your decisions. He is not making the decisions for you. He is not overriding your will. But your will has been bent to make decisions you normally wouldn’t make. When you are filled with the Word of God, you are also filled with the Spirit, and you will be cleansed by the washing of the water of the word, your mind will be renewed, and you will produce much fruit. The key, the secret to fruitful living, as Jesus points out in verse 3, is getting as much of His Word into your lives and hearts and minds as possible. Jesus talks about this in John 15:4-5. John 15:4-5. Abide in Me, and I in you. As the branch cannot bear fruit of itself, unless it abides in the vine, neither can you, unless you abide in Me. I am the vine, you are the branches. He who abides in Me, and I in him, bears much fruit; for without Me you can do nothing. It is true that simple knowledge of the Word is not enough. To produce fruit, we must abide in Christ. We must abide in the vine. You know what this means? Producing fruit is not automatic in the life of the Christian. I cannot tell you how many times I have heard people say that if someone is really a Christian, they will automatically produce fruit. No they won’t! Not according to Jesus anyway. He says that you will only produce fruit if you abide in Him. And abiding isn’t automatic either. If abiding were automatic, Jesus wouldn’t have commanded them to abide. And in fact, that very night, all of them would fail to abide, especially Peter. If abiding with Christ was automatic, these genuinely saved apostles would not have denied Christ, or fled from Christ when things got scary. But they all turned their backs on him for a time, which shows us that abiding is not automatic. It is something we are commanded to do, and something we must make sure we are doing. So what does it mean to abide? It comes from the Greek word meno, which means “abide, remain, live, stay, dwell.” It is used all over in the writings of John, especially in the book of 1 John. So the translation here is fine and probably the best way to translate it. The book of 1 John is very helpful in understanding what abiding in Christ is all about. Essentially, abiding in Christ begins and continues by believing in Christ. Just as we receiving eternal life by believing in Jesus, we experience eternal life here and now by continuing to believe in Him. In John 10:10, Jesus says that He came so that we might have life and might have it abundantly. The Gospel of John is the Gospel of belief. But it not only tells you to believe in Jesus for eternal life. It also tells you to believe in Jesus for the abundant life. For a life of fruitfulness, a life of joy. Paul says, “Just as you received Christ Jesus, so also continue to live in him” (Col. 2:6). How did you receive Christ? By faith. So how do you continue to live in Him and experience the abundant life he promises? By faith. But we also must understand that abiding in Christ is more than just believing in Him. 1 John points out that to abide, you must also love one another (1 John 2:10; 3:15; 4:12), walk as Jesus walked (2:6), be strong in the faith (2:14, 24), and do the will of God (2:17; 3:24). Here is what Jesus is saying in verse 4-5. Fruit is not automatic. However, you cannot produce fruit on your own effort either. No one has ever produce a single grape in their life by trying to produce a grape. Only the vine can produce fruit. Only Jesus can produce fruit in our lives. So what is our responsibility? How can we allow Jesus to do this? Abide in Him. Trust him to produce fruit in you as you love other Christians and live as Jesus lived. Continue to trust that as you allow the Word of God to dwell in you richly, Jesus will follow through on his promise to you and you will produce much fruit. It should be every Christians dream and desire to be a branch that produces much fruit. But as we all know, there are many Christians who stop abiding in Christ. What happens to them? Aside from not producing any fruit, what consequences, if any, will they face during this life and the life to come? John 15:6 answers this question. John 15:6. If anyone does not abide in Me, he is cast out as a branch and is withered; and they gather them and throw them into the fire, and they are burned. When most people read this verse, they see the picture of getting cast out as a branch and burned as a reference to hell. But every time fire is mentioned in Scripture, it does not necessarily mean hell. In fact, very rarely does it mean hell. Most often, it refers to some sort of judgment either in this life or before the Judgment Seat of Christ. I have mentioned before the warning of 1 Corinthians 3:15 about those Christians who fail to live for Christ and the judgment they will face on that Day. Paul is very clear that such Christians will be saved, but so as through fire. John 15:6 is teaching something similar, but with an added element. First of all, whatever is happening here to the branches has nothing to do with whether they were fruitful or not. Their fruit or lack thereof is not even mentioned. The only thing under consideration is whether they are abiding. While some Christians never really abide, and so never really produce fruit, other Christians produce much fruit for years and years, and then one day, stop abiding in Christ and stop producing fruit. We have all known Christians who have fallen away in such a fashion. So the issue here isn’t whether they have produced fruit or not. The issue is whether they are abiding in Christ. This is a completely different issue than what Christ talked about in verse 2. Remember, if there is a branch in Christ which does not produce fruit, what does Jesus do? He does not cut if off. He lifts it up so that it can produce fruit. Here’s the difference, no matter how much tender loving care God gives us, if we refuse to abide, we will not produce fruit. 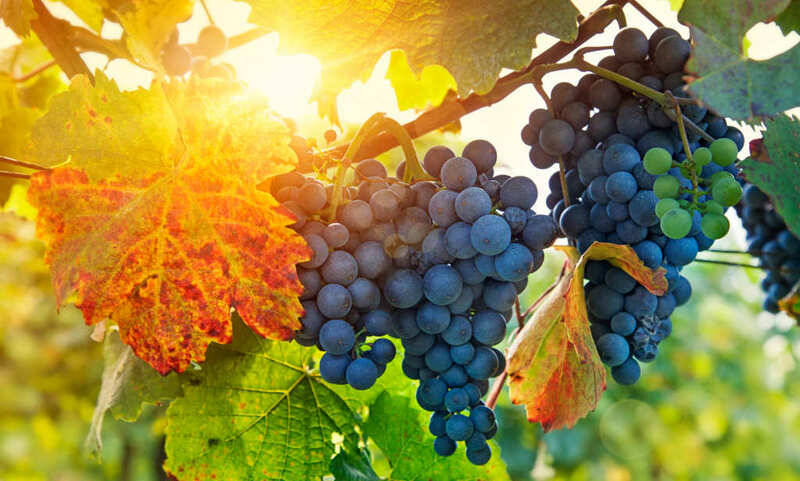 If we refuse to stay connected to the vine, we will be thrown out, and will wither up spiritually. This does not mean they are thrown out from eternal life, but thrown out of fellowship. The picture of abiding is related to fellowship. Think of it this way. Many of you live with someone at home. A parent, a spouse, a sibling. Somebody. As long as you are there, you are abiding, remaining together, and as a result, have fellowship. But if you decided to leave, of if you get thrown out, you have not lost the relationship, but you have lost the fellowship. Some confession and repentance and returning to abide at home will be necessary if the fellowship is to be renewed. It’s the same thing here. God wants to produce fruit in you. But if you refuse to abide, if you refuse to stay in fellowship with Him, and with Christ, and with other Christians, then there is nothing God can do to force you to produce fruit. Instead, you will wither up spiritually. If you ever feel dry and dusty and withered up in your Christian life, make fellowship with God, with Christ and with other Christians your top priority. Such things are like water to a dry and thirsty land. This is what the first half of verse 6 teaches. But there is something significant in the last half of verse 6 also. Jesus adds a pronoun we have not seen yet. So far in this passage, we have been introduced to Vine, which is Christ, the Vinedresser, which is God the Father, and the branches, which are Christians. When Jesus refers to Himself, he uses the pronoun “I” or “me” (John 15:1, 2, 4, 5). Whenever Jesus refers to God the Father, he uses the pronoun “He” (John 15:2). Whenever he is speaking of the branches, his apostles and other Christians, he uses the pronoun “you” (John 15:3, 4, 5). But notice the pronoun switch in verse 6! Jesus uses the pronoun “they.” It says that when a branch stops abiding and as a result withers, they gather them up, and throw them into the fire where the branches are burned. Who is this “they”? It’s not Jesus. It’s not God. It’s not other Christians. Gary Derickson and Earl Radmacher believe that Jesus is talking about the world here. These are the people who are the “all” in John 13:35. The world is looking for fruit among Christians. They are looking to see if we really act like we say we will. And sadly, what they most often see is far removed from what we claim to be. Many of them have read the Scriptures, and they know what Christ stood for. And when the world looks at us, most of the time, they do not see Christ. When we turn to the book of Acts, we see that the reason the early church was so powerful was certainly because the spirit was at work in them, but at work in them to do what? To love one another! Nobody was in need. Loving discipline was carried out. People were edified and taught with the Word. They had one another over for meals. And as a result, Acts 2 says, people were added to their number daily. The church did not grow because people were being added. People were being added because the church was growing in love for one another. They were fruitful whether people were being added or not. According to verse 6, if we as the church are not abiding in Christ as defined by Jesus here and John in 1 John, then when the world looks at us, they will not see any difference between us and the world, and will then say to themselves, “Why do I need Christianity if they are no different than us?” And when that happens, it is like they are gathering us up and throwing us on the fire to be burned. If we do not reveal changed lives, if we do not show love for the brethren, the world doesn’t care a whit about what we have to say. They just put us in the discard pile for burning. Churches would be much more effective at evangelism if they were much more effective at loving one another. That is what the world hungers for. That is the what the world wants to see. That is when they will give us a hearing. The negative consequences of not abiding were discussed in John 15:6. The positive consequences of abiding are discussed in John 15:7-8. John 15:7-8. If you abide in Me, and My words abide in you, you will ask what you desire, and it shall be done for you. By this My Father is glorified, that you bear much fruit; so you will be My disciples. The first consequence of abiding in Christ is answered prayer. When we are abiding in Christ, then His Word is dwelling in us richly, and our prayers will be echoes of His Words. When we are abiding in Christ, we will be in such close fellowship with Him, that our prayers will be His prayers. When we pray to our Father in Heaven, it will be as if Christ was praying to God in heaven. And as such, whatever we desire will be the same thing Jesus desires, and so our prayers will be granted. What an amazing result of abiding this is! The second result is in John 15:8 – that we will bear much fruit. 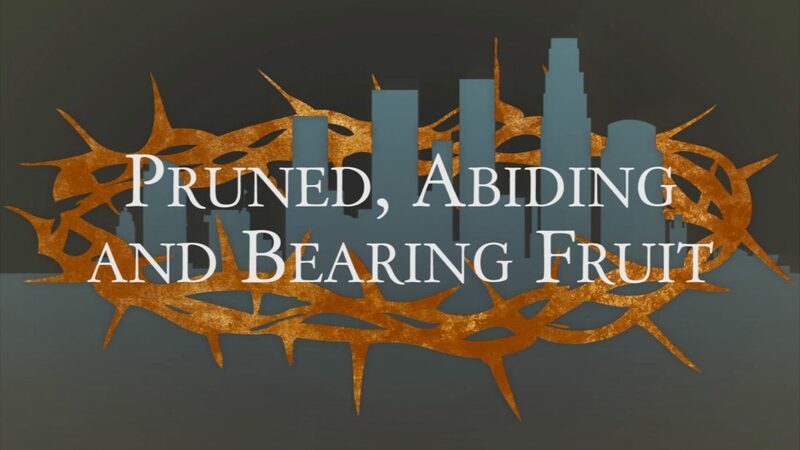 This brings us full circle back to the importance of bearing fruit by abiding, and how that is all connected with being a disciple of Christ. Joseph Dillow summarizes this passage well. John 15 tells us that when a believer is in fellowship with Christ but is not bearing fruit due to immaturity or injury, our Lord lovingly lifts him up so that he can bear fruit. The believer who is in fellowship with Christ and who is bearing fruit is pruned [or cleaned] so that he can produce more fruit…The believer who does not remain in fellowship…is cast out in judgment, withers spiritually, and faces severe divine discipline in time and loss of reward at the judgment seat of Christ…Only the believer who remains in fellowship…will bear fruit. In Hampton Court near London, there is a grapevine under glass. It is about a thousand years old and has but one root that is at least two feet thick. Some of the branches are two hundred feet long. Because of skillful cutting and pruning, that one vine produces several tons of grapes each year. Even though some of the smaller branches are two hundred feet from the main stem, they bear much fruit because they are joined to the vine and allow the life of the vine to flow through them. Be joined to the vine, abide in the vine, and you will bear much fruit.